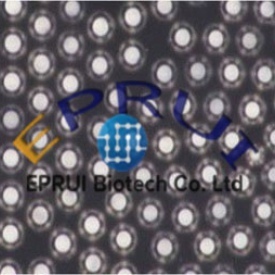 EPRUI supplies highly uniform nickel plated particles which has high conductivity and appropriate elasticity. There is also a strong adhesion between the metal layer and the resin core of EPRUI conductive Ni particles. As a conductive filler, Nickel conductive spacers are used in coatings, adhesives, printing ink, plastics, and rubber to provide electrical conductivity, electromagnetic shielding, and antistatic resistance in electronics, communication devices, and avionics.